Dam feasibility studies have to include extensive geological reconnaissance and an accurate identification of the geometry of the stable and intact bedrock. Geophysics (especially seismic) is often used as a complement to boreholes. 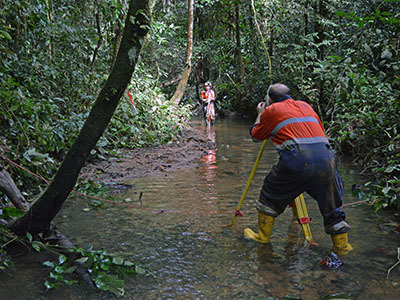 Both reflection and refraction seismic have been applied in the Gabon rainforest to identify the alteration thickness of metamorphic rocks under thick lateritic cover. 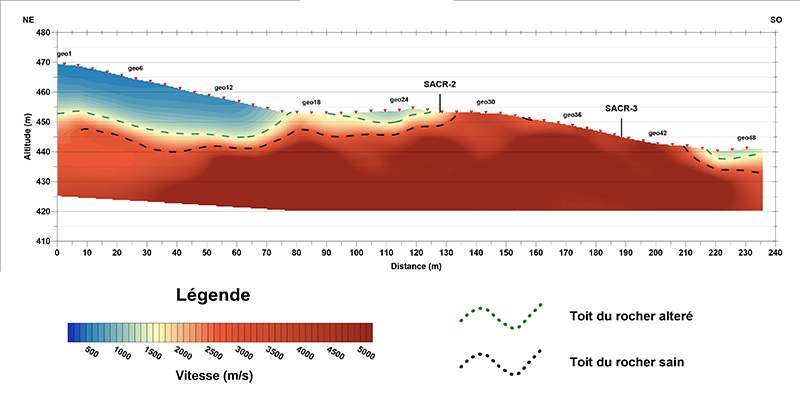 A very good correlation between the seismic sections and the borehole logs has been obtained and allowed for an accurate reconstruction of the bedrock geometry. Refraction seismic section highlighting the spatial variation of the alteration in the bedrock (metamorphic).